Stocks stopped right around where they started Monday on yet another quiet August trading day. Still, all three indexes remain near their highest levels in more than four years. The Dow Jones industrial average, the S&P 500 and the Nasdaq closed flat. Trading volume has been low for more than a week, with many investors on vacation and little news out of Europe. While the most hyped social media stocks, including Facebook (FB), Zynga (ZNGA) and Groupon Inc (GRPN), recently plumbed new lows, technology giant Apple (AAPL) keeps hitting new heights. The iPhone maker set another record Monday by becoming the most valuable public company in history. 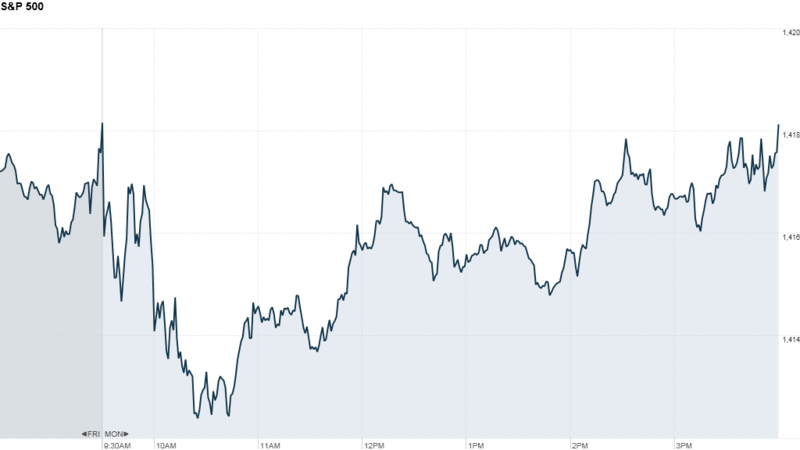 With little economic news on the agenda this week, investors will keep an eye on the Federal Reserve. The central bank will release minutes from its July meeting on Tuesday. While the Fed didn't announce any further stimulus measures at the meeting, investors will look for clues about whether quantitative easing could be coming when chairman Ben Bernanke speaks at a Jackson Hole, Wyo., symposium at the end of the month. Investors will also look for news out of Europe, as Greek prime minister Antonis Samaras meets with top eurozone officials throughout the week. Samaras is expected to push for a two-year extension of Greece's bailout program, which would give the government more time to implement difficult reforms. U.S. stocks ended higher Friday, capping off a sixth straight week of gains. Stocks have been trading near their highest levels since May 2008. World Markets: European stocks closed lower. Britain's FTSE 100 was down 0.5%. France's CAC 40 fell 0.3%, and the DAX in Germany slipped 0.1%. 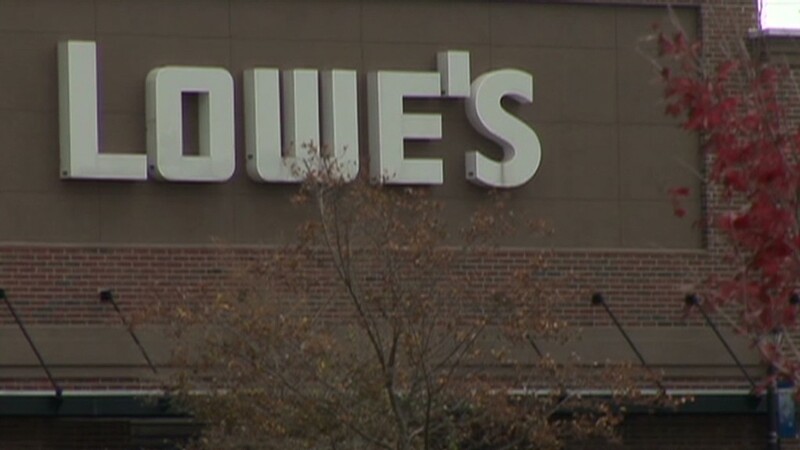 Companies: Lowe's (LOW) second-quarter earnings missed expectations, falling 10% over the same period a year ago, the home improvement retailer reported Monday. Shares closed down 6%. Aetna (AET) is buying Coventry Health Care (CVH) for $5.7 billion in cash and stock. The deal would make Aetna one of the largest providers of government-financed health care. Shares of both companies moved up with Coventry closing up 20%. Best Buy (BBY) announced that Hubert Joly, the CEO of restaurant chain Carlson would take over CEO duties. Shares fell 10% as investors appear wary that this announcement makes the proposed buyout by the retailer's founder, Richard Schulze, less likely. Oil for September delivery fell 4 cents to $95.97 a barrel. Gold futures for December delivery moved up $3.60 cents to $1,623.00 an ounce.